As we all know, to the owners do not change how much money the battery, because power, you have to set the vehicle time, lifting the glass, set the throttle, set the steering wheel steering angle sensor, audio lock, remote control failure. 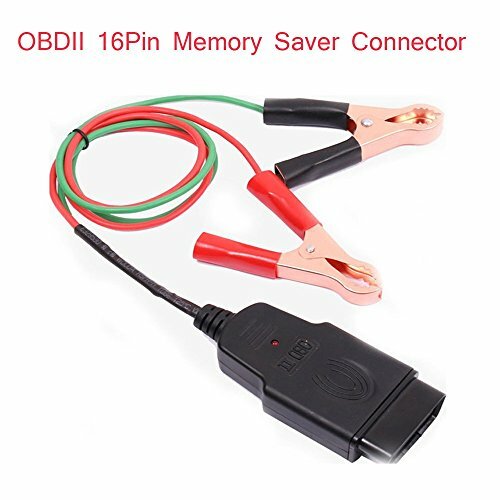 With the Memory Saver Connector tools, the above situation will not appear. The use of environmentally friendly high-quality materials, no odor non-toxic ingredients, tough and soft wear resistance, not winding, environmental protection and durability. When you insert OBD, The device beeps. 1, with a red clip to connect the backup battery cathode, black to connect the negative (Positive and negative polarity will burn the car computer). 2, plug the red light, and then insert the car OBD plug, this time has been issued by the sound of drops, indicating normal connection. 3, at this time can change the battery, careful operation, pay attention to the replacement of the battery must lock the car, do not open the lights and other electrical equipment, not to the battery positive ground, otherwise it will burn the car OBD socket fuse. 4, for a good battery, the first release of the tools of the red clip, if also drops at this time ring, indicating successful, if there is no sound, indicating that the fuse burned.